Does employee turnover really cost companies money? A study by the American Center for Progress suggested that replacing a single employee could cost between 100% and 300% of that employee’s base salary. This includes the cost of hiring and training a replacement, severance pay for the quitting employee, and the lost productivity during the hiring and training process. Let’s take a closer look at the real cost of employee turnover and discuss ways to reduce the impact when an employee quits your company. Employee turnover seems more common today, especially among younger workers. These employees may consider changing to a different company because they want a higher annual salary or just want a different working environment. Actually, high turnover has long been an issue for companies who hire younger workers. Data from the Bureau of Labor Statistics shows that, in the U.S., a new employee under age 35 can be expected to go about three years before changing jobs. The three year average has been the same since 1983. Older employees, including those in executive positions, stay in the same company for longer, on average. However, the true cost of replacing a CEO is much higher in terms of the severance package, lost productivity, and hiring or appointing a qualified replacement. If you own or manage a business, you should consider the real cost of employee turnover. It is a fact of life for businesses both large and small, and sometimes it is unavoidable. You can take steps to reduce the cost of employee turnover, but you may also want to consider a strategy for reducing turnover so that you have to worry about the costs less. This will give you employee turnover costs for each quit-hire cycle. Of course, turnover costs will vary, but this will provide you with a reliable average cost. What about the annual cost of replacing employees? Now that you have an average for replacement costs per employee, you can calculate the total cost of turnover per year. To do this, you simply multiply the average cost of turnover per employee who quit by the number of employees who quit that year. Now you know how to calculate employee turnover costs. How can you lower these numbers? The most obvious option is to improve your employee retention efforts. This involves focusing on different areas such as employee morale and employee engagement. If workers feel happy, involved, engaged and valued, they will be more likely to remain at the job instead of thinking about leaving. Another way to improve an employee’s outlook is to treat them like a human resource. You can, for example, provide opportunities for training and advancement within the company. If they know that they can improve their standing, they will be less likely to look elsewhere for a “better deal.” Employees may also feel more loyal to the company if they can enjoy benefits such as the opportunity to earn bonuses or equity in the company. Flexibility with scheduling, non-traditional working hours and vacation flexibility may also make them feel more connected to the company. These ideas may also help reduce administrative costs. If you are not sure where to start, you can consider conducting exit interviews with employees who are quitting. They will tend to be more honest than current employees, who may not want to risk criticising, even if you are open to criticism. You may also want to consider finding ways for employees to offer feedback openly. Perhaps you could consider one-on-one feedback discussions so that they do not have to speak about their feelings for their job in front of their coworkers. You may need to consider separation costs if the employee who is quitting is getting a severance package. How can you reduce hiring costs? You can look into outsourcing the job instead of getting a new person to work in office. In lieu of advertising for the job, you could promote internally or, if that is not an option, you could use a matchmaking service to quickly find a qualified replacement. These services may be more expensive than placing an add, but do not forget to factor in the lost sales, which could add up if the position is vacant for a long period of time. 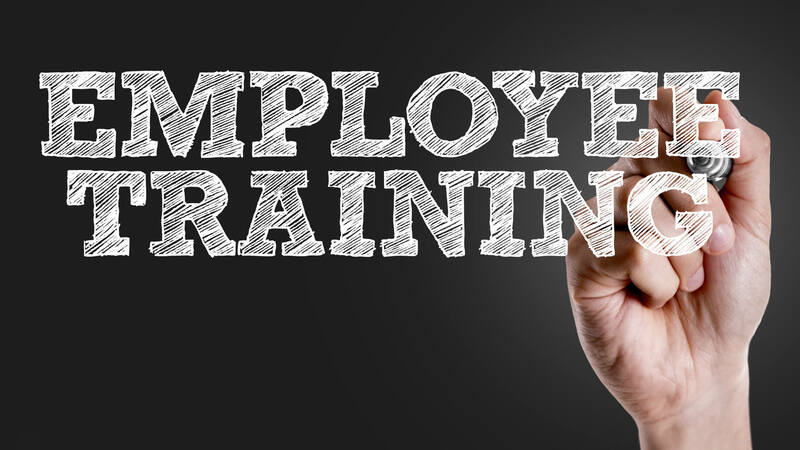 What about training costs for your new hire? You could consider on-the-job training or hands-on training to lessen the amount of lost sales during the transition. If you can combine employee retention strategies with a reduction in turnover costs, you can limit the loss of money from the employee hiring-quitting cycle.